Learn the power of wipe effect in PowerPoint animation. See examples that showcase this useful animation effect. 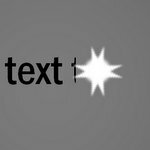 Learn to create shiny text effect with wipe animation by watching this video tutorial. Before we learn to create the effect, let us see some uses of wipe animation in your business presentations. The most common use of wipe animation is in charts. You can use such animation effects to show the movement of trend. Chart animation can be done in other innovative ways as well. Instead, we let us some other creative ways to use wipe animations. Take a look at the following template from the diagram pack.The curved 3D arrow appears to move around the barriers to reach the goal. Wipe animation effects always appear interesting on a curved line than on a straight line. The movement of leads through a pipeline couldn’t have been shown any better. The wipe effect combined with the GIF animation make the slide appear like a video. The wipe animation is quite useful to represent filling and emptying of a tank. The following template tells a compelling story about the wrong sales habit of not prospecting for new customers constantly. All the filling and emptying effects are achieved through the use of wipe animation. 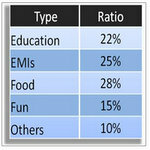 All the above templates are part of our PowerPoint Charts and Diagrams CEO Pack. 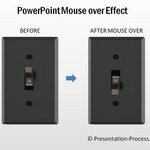 The pack has 750+ unique PowerPoint diagram templates to help you make professional presentations instantly. 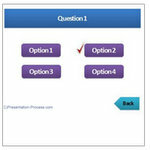 Just copy-paste our diagrams to your slides and your presentations get ready in minutes. PowerPoint has a number of useful tools that help you make stunning presentations. It takes practice and dedicated effort to get the best out of the tools. We’ve honed our skills over the years and made our expertise available to you in the form of readily usable diagram templates and PowerPoint title templates. 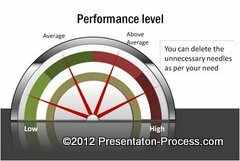 These tools are quite useful when you want to make critical business presentations. Why leave the success of your presentation to chance, when you can leave a lasting impression on your audience with our off the shelf solution?